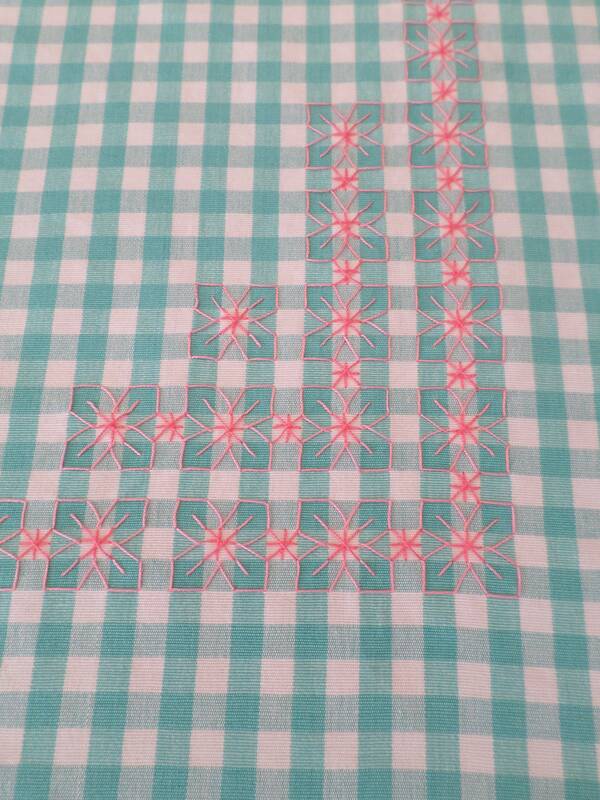 Heavy weight cotton blend fabric woven in a gingham check pattern with dyed yarns in white and mint green. 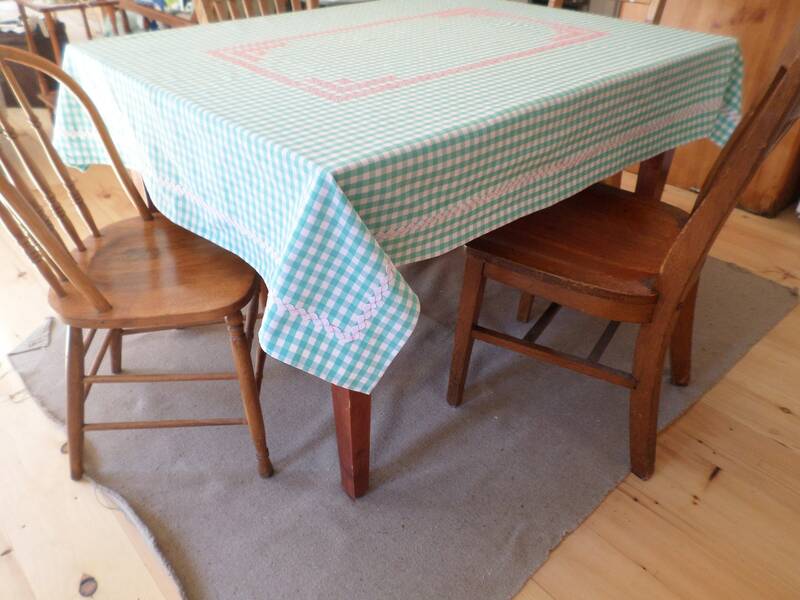 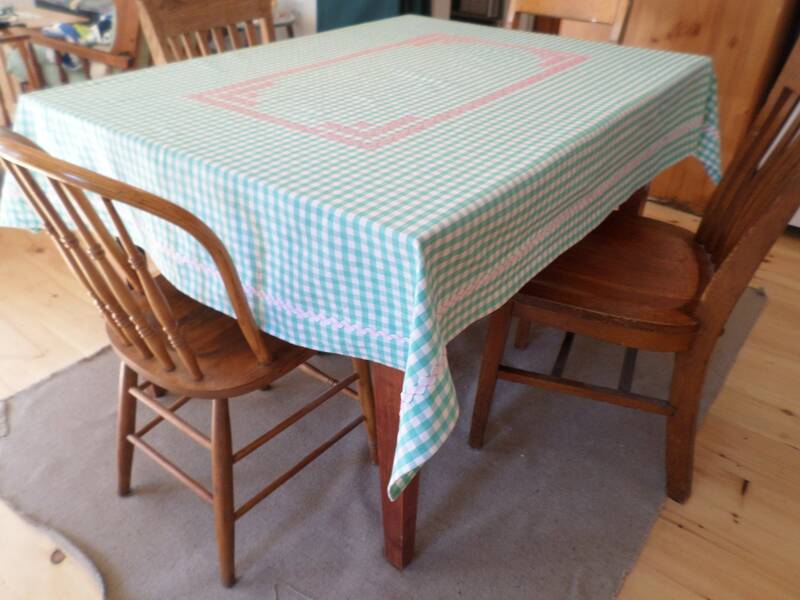 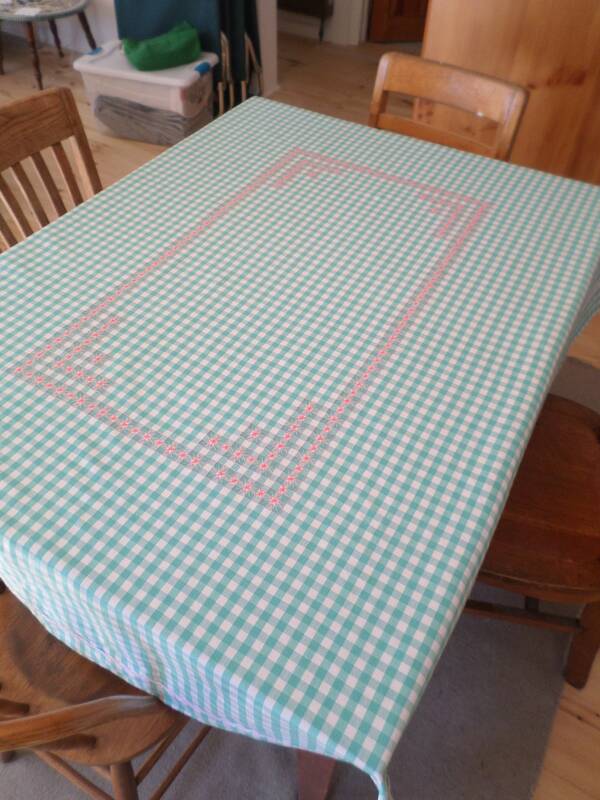 Measures approximately 53" x 72" Fits a table that seats 4. 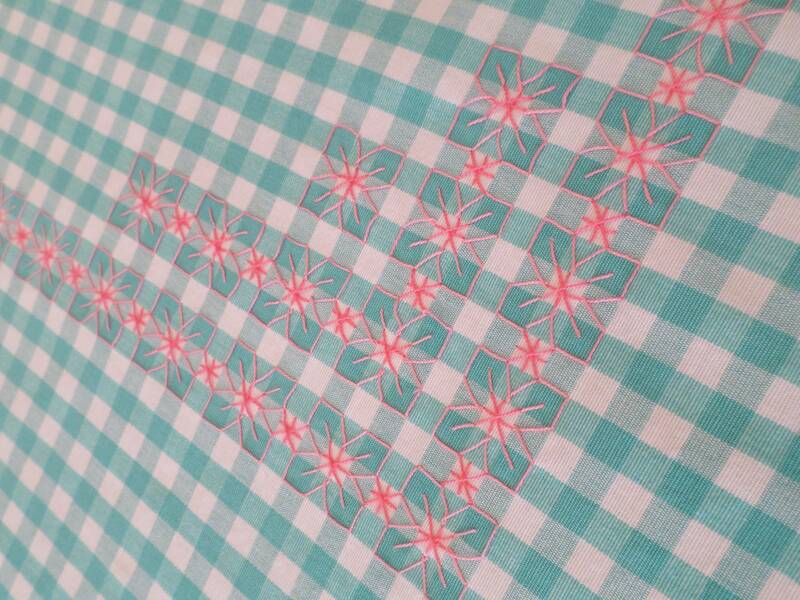 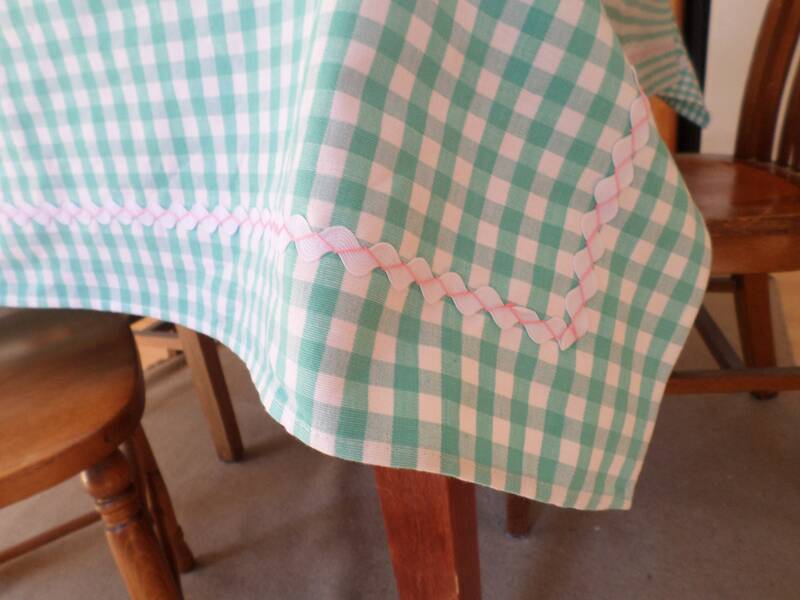 Hand-embroidered with a traditional chicken scratch cross stitch design in pink cotton and a rick rack border.